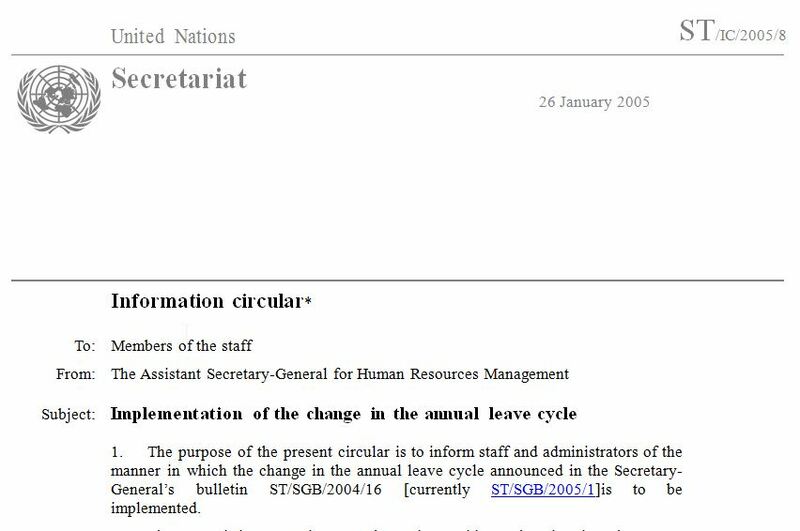 What is the United Nations Human Resources Handbook? - Ask DAG! What is the United Nations Human Resources Handbook? 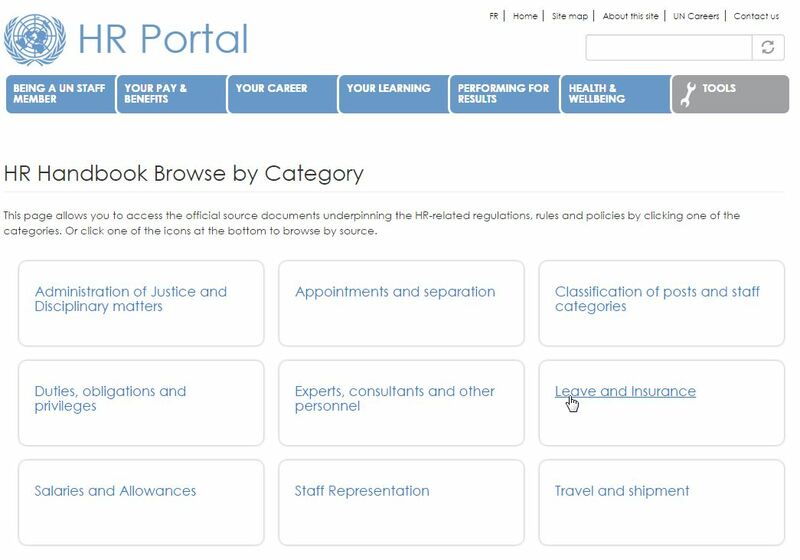 The United Nations Human Resources Handbook offers convenient access to UN administrative issuances on human resource matters, ranging from the UN Charter, to Staff Regulations and Rules, and Administrative Instructions. The latest source documents are linked from the Handbook. It is possible to search or to browse by topic. The handbook is not a complete compilation of all administrative issuances and information circulars, but focuses exclusively on human resource matters. The screen shots below are for demonstration purposes only. Please consult the Human Resources Handbook and seek confirmation with the relevant office for the staff rules and regulations currently in force. 3. Select the relevant document to read the text in Word format.